Welcome to China Wok Chinese Restaurant in Cary, North Carolina. We offer a variety of Chinese dishes and Thai-style dishes, for example: Chicken with Black Bean Sauce, Hot and Spicy Chicken, Pad Thai Noodle, Beef with Chinese Vegetable, Shrimp with Cashew Nuts, Broccoli with Bean Curd, Fried Baby Shrimps and Roast Pork with Mushroom. Located at 2753 NC Highway 55, Cary, NC 27519, our restaurant offers a wide array of authentic Chinese and Thai food, ranging from traditional dishes such as Thai Red Curry Chicken, Roast Pork with Snow Peas, Chicken with Black Bean Sauce to new style entrees such as Sesame Bean Curd (Tofu), Singapore Angel Hair (Curry Flavor) and Assorted Vegetable in Teriyaki Sauce. Try our food and service today. Come in during our lunch hour for a Chinese Lunch Special or during evenings for a delicious Thai dinner. 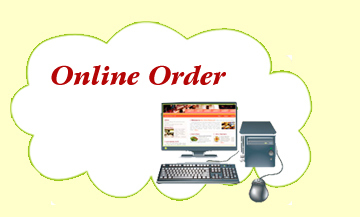 You can also online order your favorite Asian Food for take out. Our goal at China Wok Chinese Restaurant of Cary, North Carolina is to provide an unforgettable dining experience for all our patrons.